Recorded in artist’s home in Los Angeles, January 2017. Tracks performed and recorded live without the use of overdubs. This was prepared for by performing the pieces several times live as two movements. Very few patch connections were changed between the tracks “Endo” and “Exo”. Both pieces use a largely identical patch, in the same key, performed in two different ways. American Apparel California Fleece Zip Hoodie. 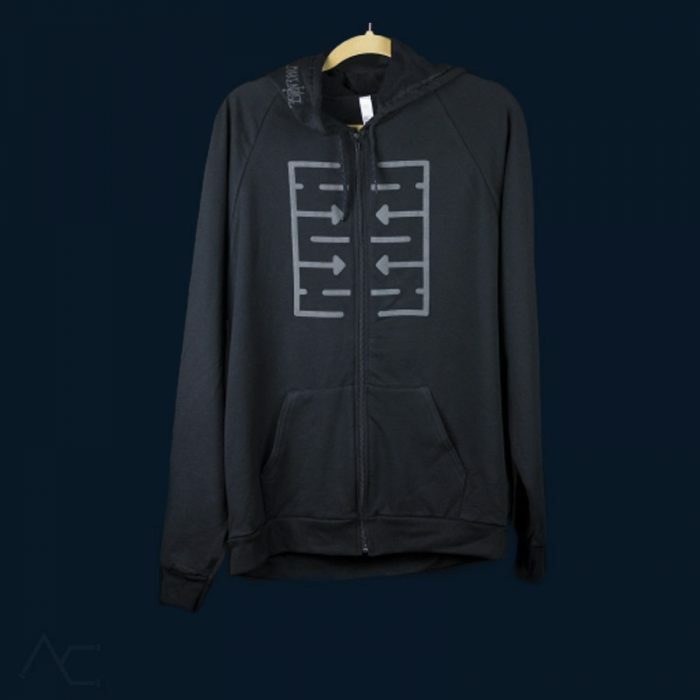 100% California Fleece cotton construction, matching Nylon zipper. Hooded with matching finished Polyester drawcord, Raglan sleeves, Kangaroo pocket. Puffy grey René touchplate graphic on chest, and Make Noise logo on the hood. Printed in Asheville, NC. American Apparel California Fleece Zip Hoodie. 100% California Fleece cotton construction, matching Nylon zipper. Hooded with matching finished Polyester drawcord, Raglan sleeves, Kangaroo pocket. 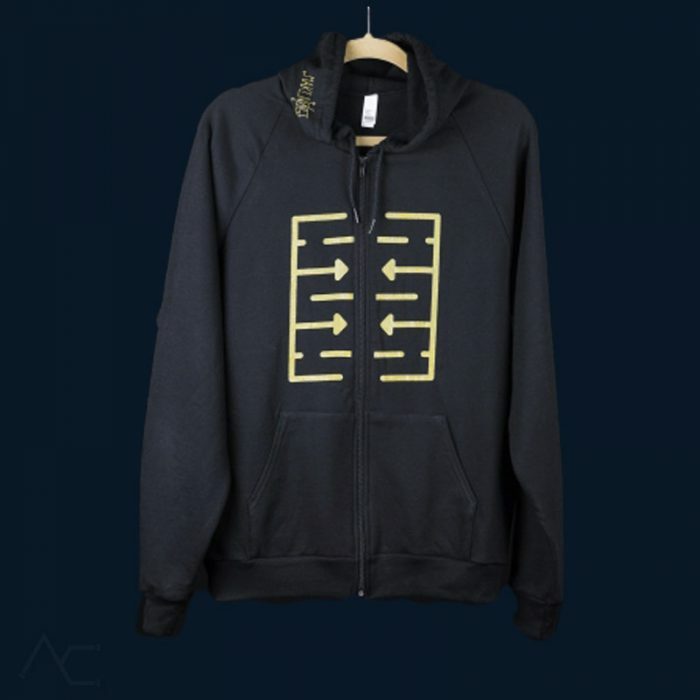 René touchplate graphic on chest, and Make Noise logo on hood, in metallic gold. Printed in Asheville, NC. 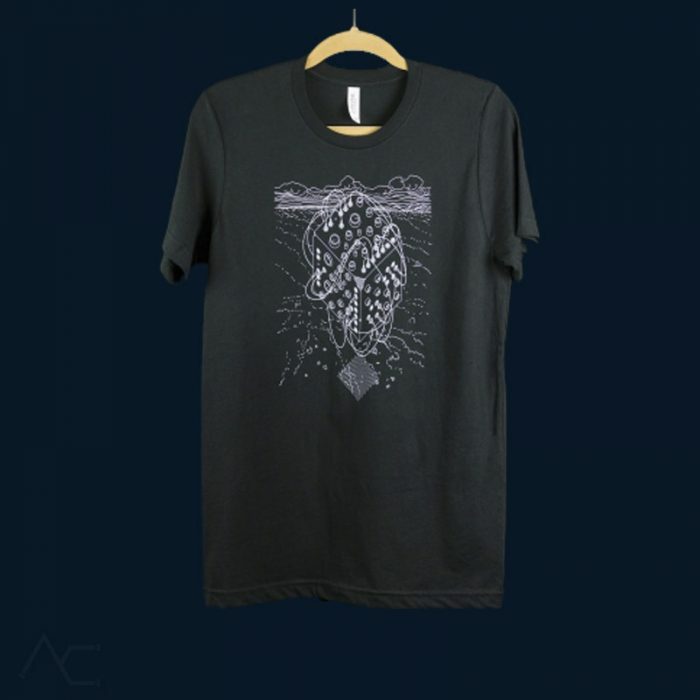 Only available in size M.
Black t-shirt with synth cube graphic on front and Make Noise logo on back. 100% cotton. Shirt made by Bella+Canvas and printed in Asheville, NC. Graphic by Zach Smith. 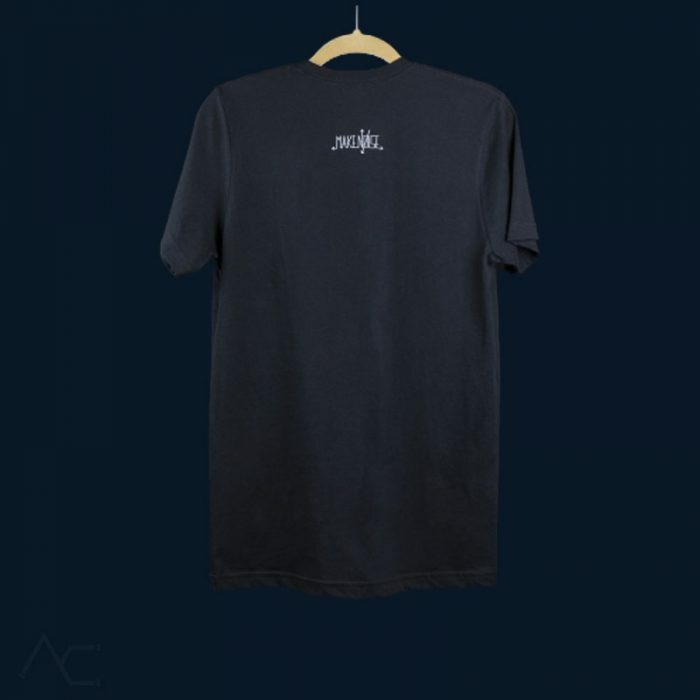 Black t-shirt with modern chalk Make Noise logo. Cotton/poly blend. Breathable soft material. Shirt made by Next Level Apparel and printed in Asheville, NC. 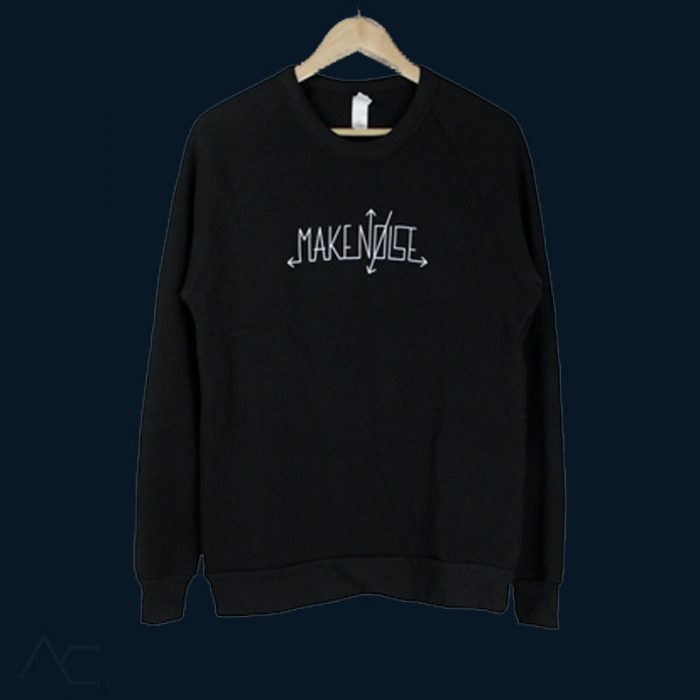 Make Noise Chalk Logo on Alternative Apparel Eco faded black slim fit Crewneck Sweatshirt. Printed in Asheville, NC.